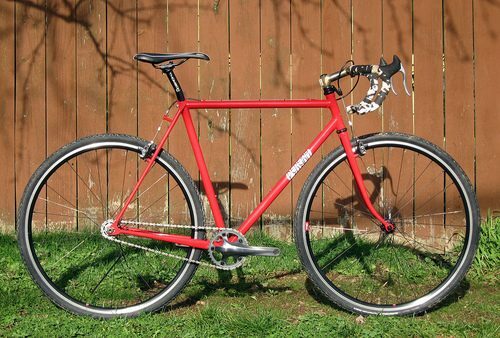 My personal singlespeed cross bike for 2011. I only rode this bike about a dozen times and raced it 5 times in the Cross Crusade series. It’s a great bike, but I need money more than I need this bike right now. Stem is a custom 100mm x 5 degree rise. It is unpainted. I can provide another stem if this doesn’t fit right. This bike would sell for about $5200 new.